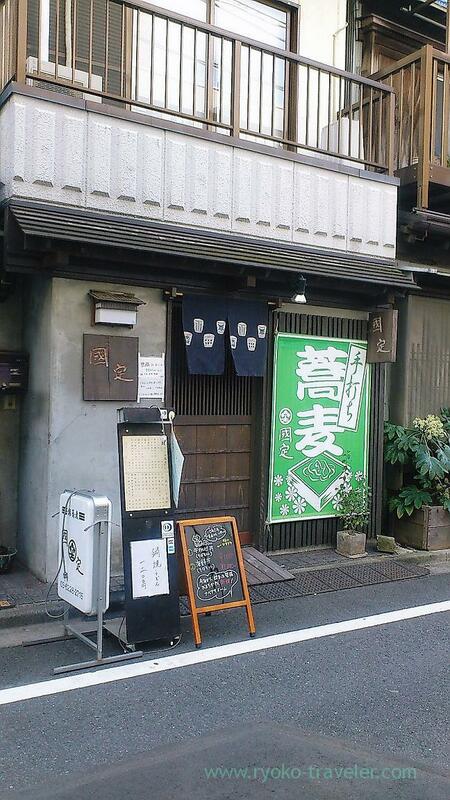 Soba lunch at the back street in Kachidoki. One day I didn’t have something to want eating in particular and I wandered about aimlessly near my office at lunchtime. 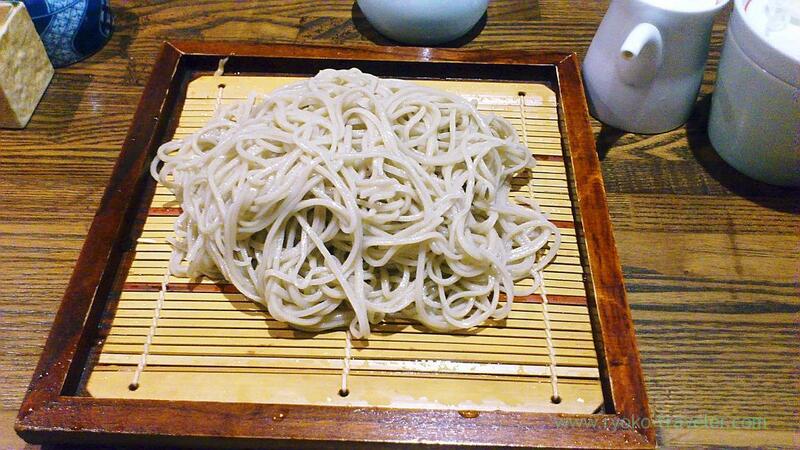 Then I stopped in front of the soba restaurant. 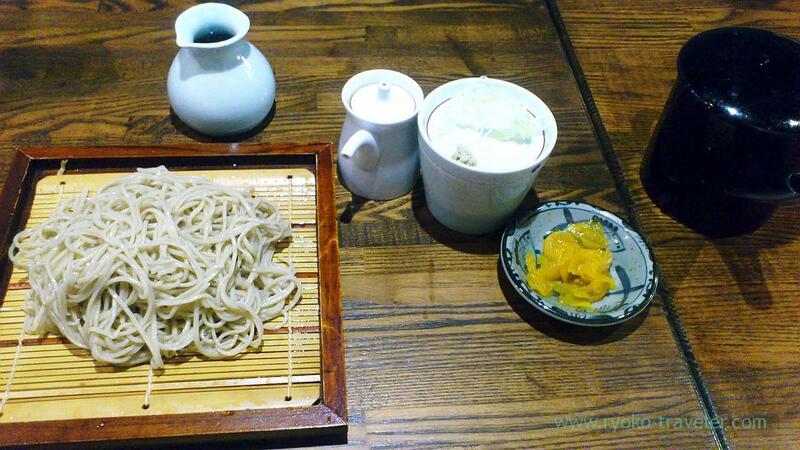 Truthfully speaking, I had wanted to eat at the restaurant for a long time, but I usually don’t feel like to eat soba at lunchtime. So I hadn’t had lunch at there. After finishing eating soba, sashimi bowl came. 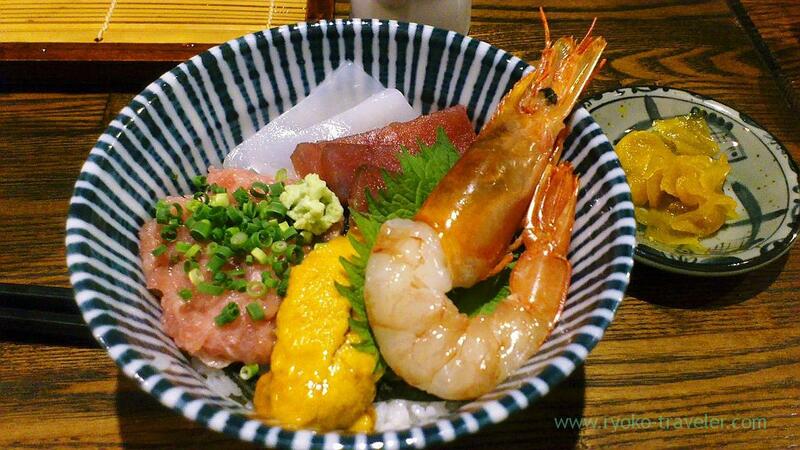 Small sashimi bowl. Pandalus nipponensis and sea urchin was so fresh and tasty. I think they bought them at Tsukiji. So I won’t be able to update this blog for a while. Before that, I’ll upload one more post at midnight. I transit through Korea, so I’m looking forward to eat some Korean foods at the airport. Umm. I wish my airplane will take off on time. Today, Narita airport was confused because of heavy snowfalls and strong wind.